This week's Skywatch Friday photo was taken on a recent trip to Maine. Great exposure... you managed to capture details in the foreground as well as a great sky! A bright day! And what an interesting architecture! Nice colors in this one, especially the orange roof. What a fabulous photo! I had to look twice as the scene looks almost French but then I spotted the Stars and Stripes! Lubec was welcoming. Great composition! You got some fabulous images in Maine, lots of opportunities there, or it could be that you could spot a great shot most anywhere! A friend of mine, a true Maniac now living in CA, was just up in Lubec. I've been forwarding him links to your posts....will most certainly send him a link today! Great photo. 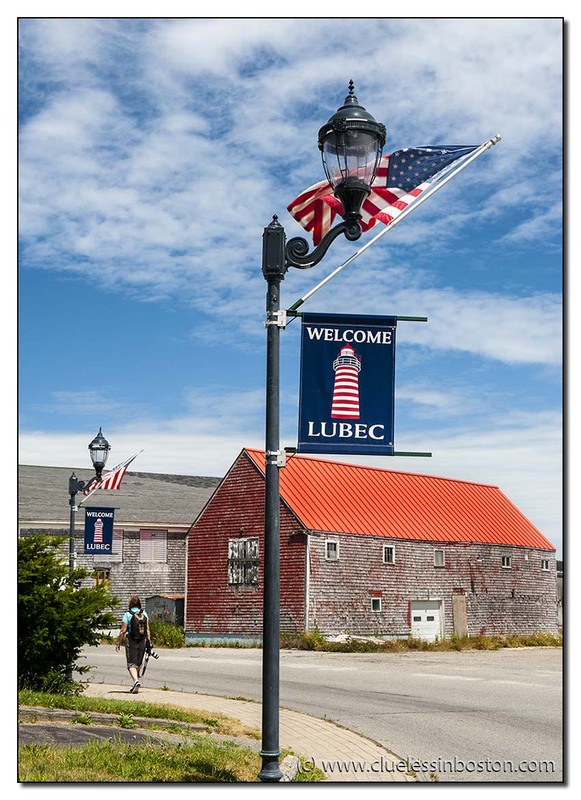 I've not been to Lubec, but coupled with my friend's wonderful report and your fantastic photos, it sounds and looks like a great place for a vacation. Gorgeous photograph, Clueless. You can throw a rock into Canada from there.